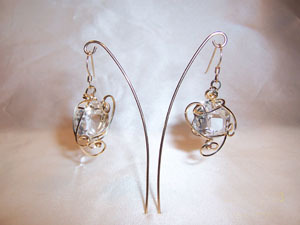 Antique chandelier crystal earrings made from clear crystal and sculpted in 14kt rolled gold wire. The ear wires are 14kt gold filled. Measures from top of ear wire 1.75"x.75".